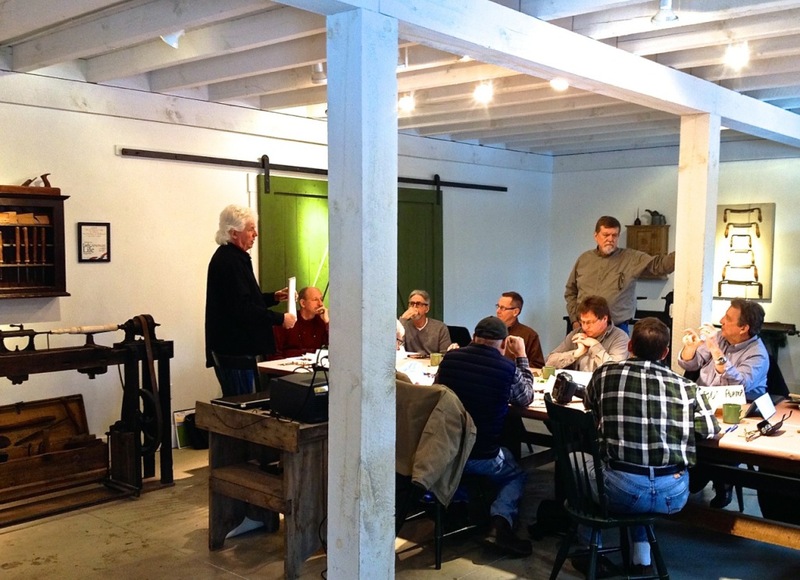 During 2018, our woodworking class schedule is by appointment only. We’ve found so much satisfaction in working one-on-one with a masters class or small group setting. This also allows me to balance the commitments we’ve made to create and deliver handmade Windsor Chairs. I am providing a limited number of classes. 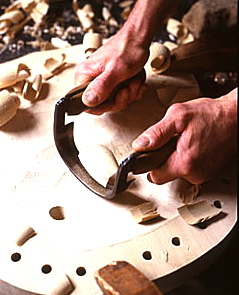 All woodworking classes taught by Richard Grell include materials. The necessary tools are provided. Please click here to view the Registration Form or here for the Class Descriptions. Over the past five years of offering classes to those who want to learn how to make high quality Windsor Chairs, we’ve found the most satisfying classes to be the ones where I can take individual time with students showing the details of why I do things in a certain way, while showing them how to do them. By limiting our class schedule to a “by appointment only” basis, I’m able to devote the attention to each individual student’s skills. These one-on-one classes are sometimes over a week’s time or several weekends in a row. In certain cases, we’ve been able to accommodate several unusual schedules for those students who have a sincere desire to learn directly from me. If you are interested in scheduling a masters class, please contact me directly. I spend most days in my workshop creating the Windsor Chairs like I’ve been doing for over 42 years. I’m interested in sharing my techniques and craft with others. I am also creating Windsor Chairs for custom orders for those who have the appreciation of the hand made craftsmanship of R. Grell Designs. During 2016 and 2017, we also offered classes by appointment only. We found that to be a good flexible situation to accommodate students while I developed the tools and also created an extensive custom order of chairs, desk and tables for the University of New England when they renovated their alumni hall. Below is the R. Grell woodworking class schedule for 2015. Classes meet 9:00 am – 5:00pm. My workshop opens and coffee is on at 8:30am. For notifications of future classes, events, and masters classes, join my email list by sending me an email. Questions? Please feel free to call at (330) 650-0586, or email me by clicking here. Classes meet 9:00 am – 5:00pm… my workshop opens and coffee is on at 8:30am. Click here for a printable .pdf flyer of the 2013 class schedule.